Cirque Noir is a place where sound artisans and visual experience engineers collide in a recurrent evolving masterpiece taking place when you most want, and least expect. We hand select our evenings’ rotating ringmasters from the underground elite, and supporting sideshows serve only to pulse us deeper into the dark night. Known for their extraordinary events, Cirque Noir has been traveling around the country bringing their unique showcases of art and music to a variety of creative locations. 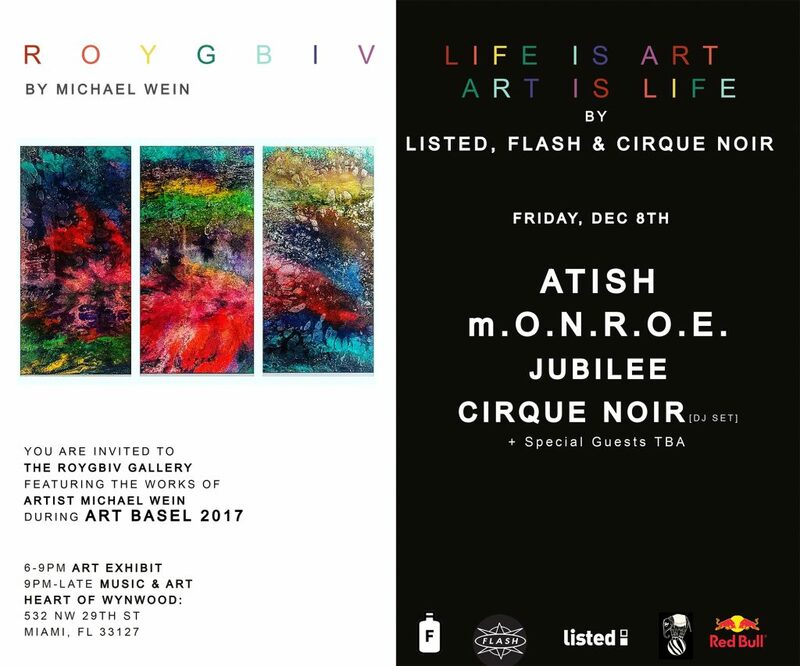 This Friday they will be in Miami for a special night of art & music featuring the work of Michael Wein and DJ Sets from Atish, m.O.N.R.O.E., Jubilee, Cirque Noir, and more. R O Y G B I V by Michael Wein, a Houston born, New York City-based artist, draws his inspiration from the emotional and logical ebb and flow of life. Michael has spent the past decade observing the nuances of life and inventing tangible solutions in the form of consumer products. He has shifted his vision for problem-solving to his canvases & installations. 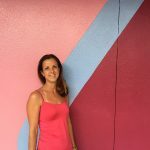 He encourages his viewers to let the fluidity in his artwork be the starting point to allow areas in their life to become more fluid, or open, as well.